Remote working is now a reality but it is often misunderstood. For some it’s just a euphemism for keeping busy without a proper job, while for others it can be a liberating gateway to a great work/life balance. 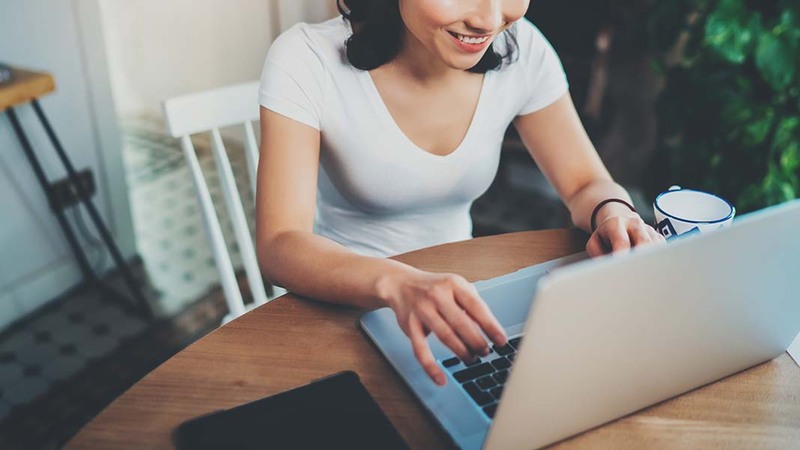 Some companies promote flexible working, which gives employees the option of working from home, or working flexible hours, but many organizations still seem undecided about the practical benefits of the arrangement. Old-style micro-managers do still exist (‘If I don’t see them working, then they’re not working’), and many do think that those who work from home are effectively playing hooky. However, many organizations are often happy to accommodate, or even promote, remote working. Home working means you can set up your optimum working environment and benefit from the lack of in-office distractions to your working routine such as gossip, unessential meetings, taking on other’s responsibilities etc. Remote workers often take fewer breaks and have a much better sickness record than their permanently office-bound colleagues. Studies suggest it’s often ‘horses for courses,’ so if the environment suits you, then you are likely to be more productive at home, rather than tied to a desk in an overcrowded corporate office working slowly and ineffectively. Bringing up a family is, of course, a genuine challenge, but if you have the desire to support a family, and still work then there are good options. For instance, older children will be away during school hours and infants may spend sizable chunks of time asleep. And even though toddlers demand lots of attention there is nursery childcare. Such arrangements can make a situation workable, and may even provide slightly shorter slabs of time as a motivational framework you can put to productive use. Each working parent must decide how to manage the situation in their own family context and be ready to face up to reality if things don’t work out. Some manage to balance the two well but if you cannot focus properly on either family, or your work, it may be time to re-adjust your routine. The inference here is that home-based freelancers can’t make sufficient money from their chosen method of working. A freelance worker in any environment needs time to build up a client base to the point where it becomes viable and then profitable. For most workers in this situation, working from home is unlikely to be the most critical factor to their professional success. Freelancers will often adopt the traditional route to full independence, by working in a part-time role, or doing multiple jobs, until able to move to full-time freelancing. Any home-based business is likely to be cheaper than running the same operation from an office or shop. However, some businesses (e.g. those requiring lots of public contact) may just not be suited to home working. Freelance workers may also need to decide on the merits of advertising and creating an online presence given they have no visible ‘place of work.’ But once again, such business decisions are not strictly limited to those who wish to work at home. In most business, marketing is an essential step towards growing and developing a profitable business. This jibe seems to imply all remote workers are in ‘customer services.’ The reality is that home working can now be found in most industries, from entry-level right up to CEO level. The key to successful remote working is to manage your time carefully and to continue assessing your productivity, on a daily basis as well as over longer periods. Technology is clearly a driver of this trend and some of the most useful office tools – instant messaging, email, Skype, document sharing and more – are designed to be accessible anywhere. Furthermore, productivity apps such as Google Now, Photomath, Clear, 1Password, Trello and Gmail functions now make it possible to structure and optimize your work process regardless of where you are.